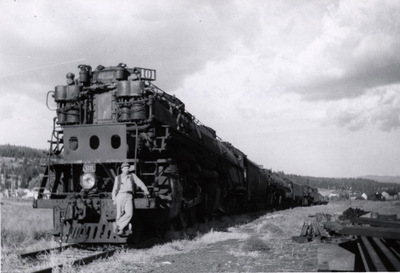 Steam locomotives of the Northern Pacific Railroad being sent to scrapyard. "Railroad" (1958). Frederick Krueger Photographs. 486.